On our way back from the Lizard Emma demanded we stop in at the Chocolate factory near Mullion and who was I to say no. 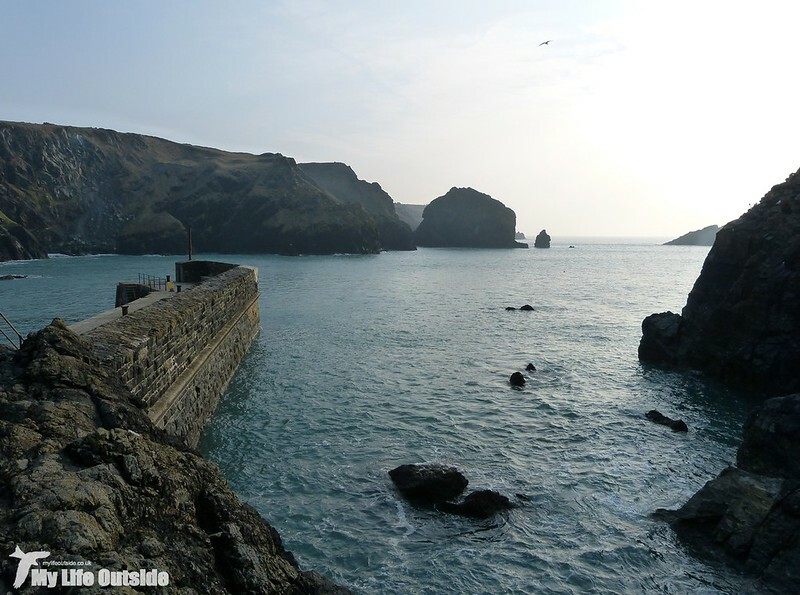 My only condition was that afterwards we headed further down the road for our first ever visit to Mullion Cove itself. 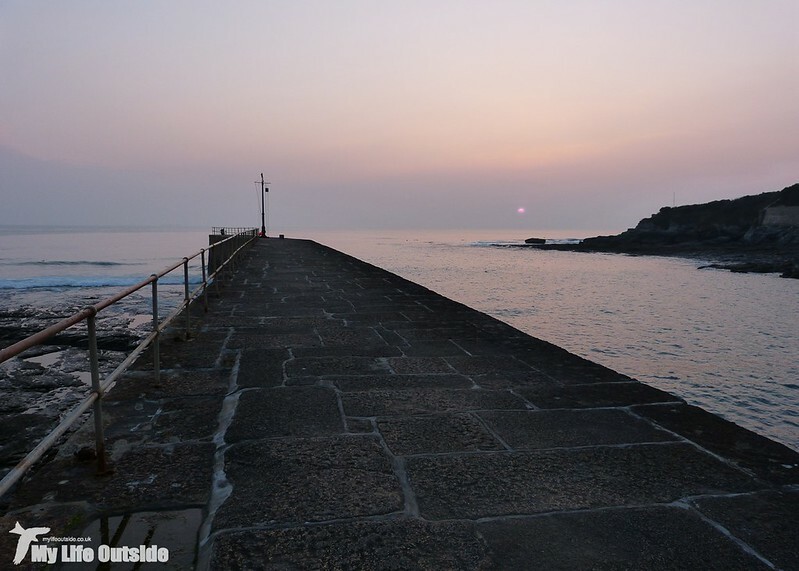 The name was a familiar one to me due to its status as a classic Cornish fishing village and it also featured quite heavily in both news stories and photographs from the January 2014 winter storms. 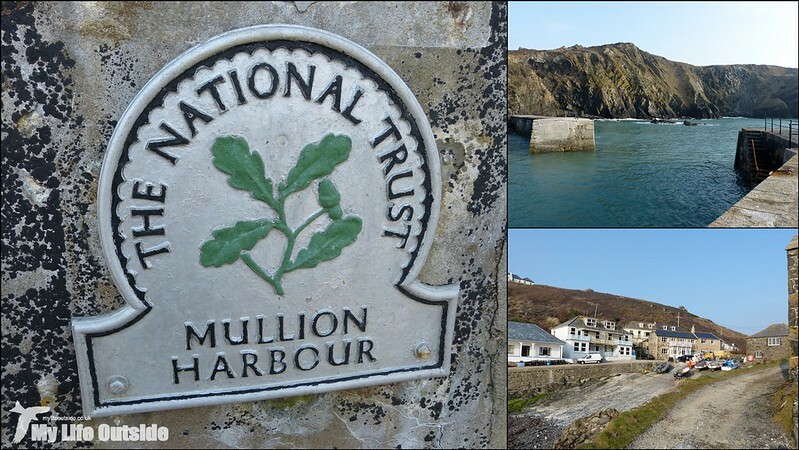 Damage from that episode had resulted in reports that the National Trust (owners of the harbour) would cease carrying out repairs as the frequency and severity of such events continues to increase. I was therefore pleasantly surprised to find that repairs were in fact being undertaken during our visit. As it turns out minor work will continue to take place but with the understanding that at some time in the not too distant future a tipping point will be reached when it will become necessary to call a halt to all future works. If or indeed when that happens it will be a terrible loss to both Cornwall and our country's heritage as Mullion really is a pretty special place. 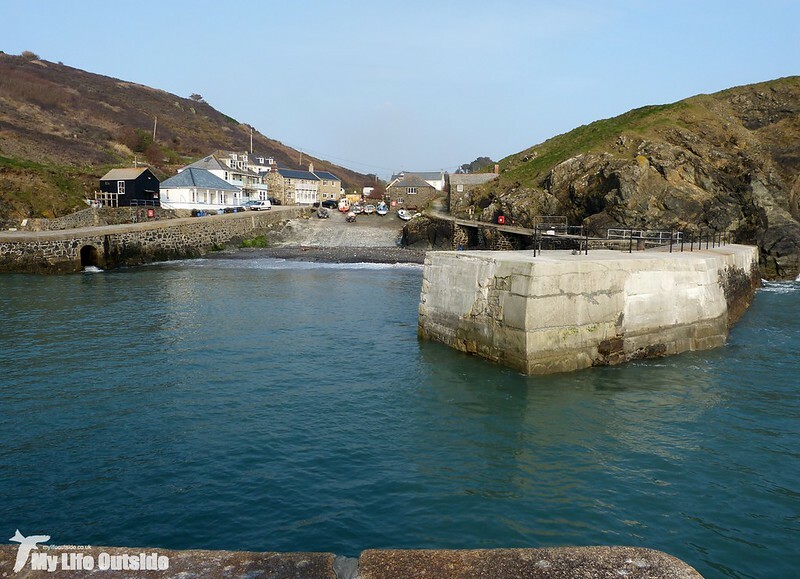 Built between 1893 and 1895 the harbour was financed by Lord Robartes as compensation for a couple of disastrous years in the Pilchard fishing industry upon which the village relied. Unfortunately the industry never fully recovered with the fishermen instead moving over to Crab and Lobster, a tradition which continues to the modern day with a small fleet still launching from Mullion. 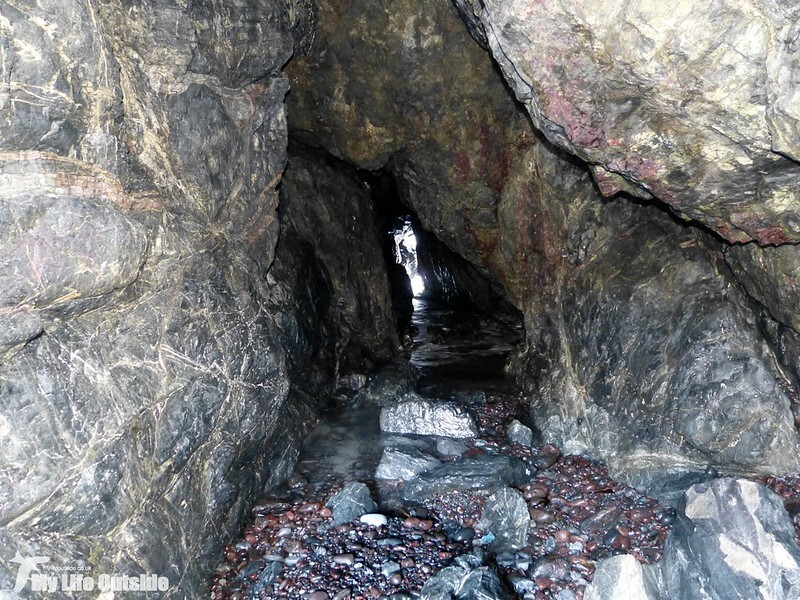 One intriguing feature of the harbour is a natural cave which stretches all the way through the southern cliff. Known as Torchlight Cave it has in the past been used to store smuggled contraband and also apparently houses the remains of an old mine. Its best feature though is undoubtedly the sound of waves crashing in from its opposite end, a crescendo of noise which is only amplified by being contained within such close confines. Genuinely an experience which made the hairs on the back of my neck stand on end. 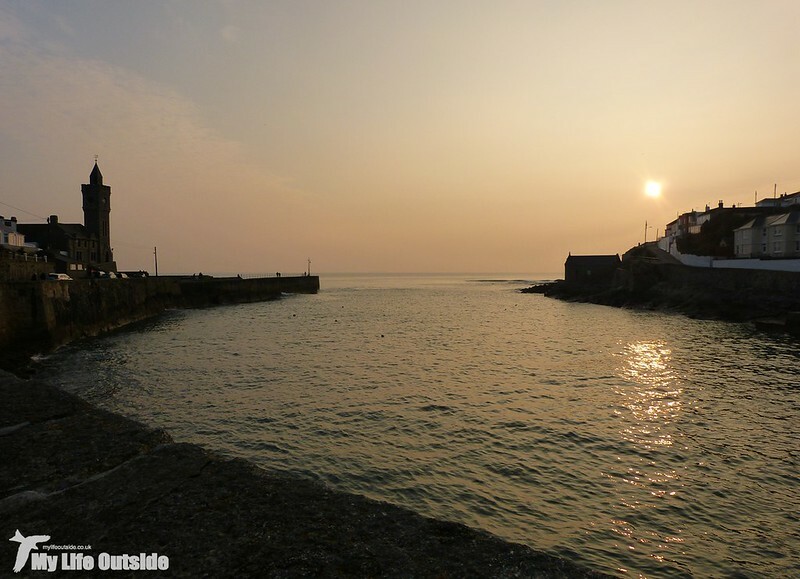 With Mullion Cove photographed from every conceivable angle it was back to Porthleven in the hope of a decent sunset. Conditions were slightly hazy and heading towards the cool side but we still got to enjoy a nice display complete with surfers catching a few last minute waves. 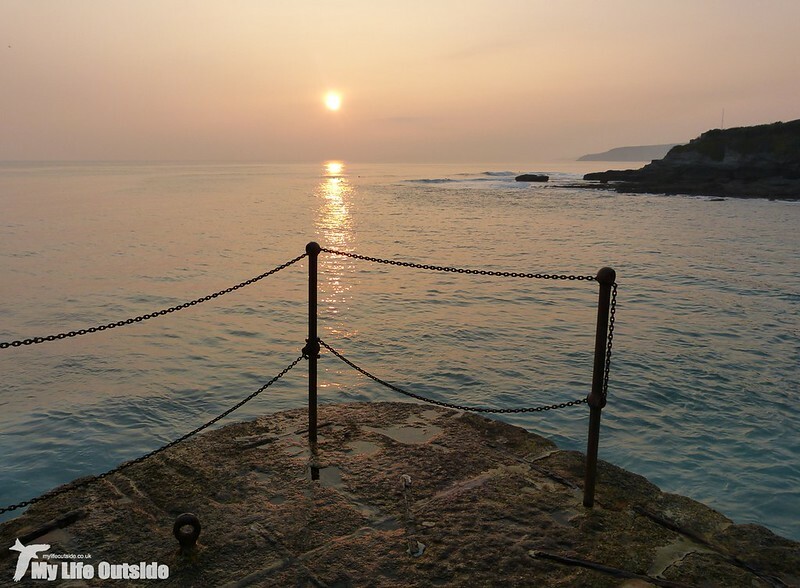 Having failed to see a single Cornish sunset during last years trip due to poor weather it felt good to finally get one under our belts. I much prefer muted sunsets. these are perfect. Sad that the harbour is threatened but then it always was and it wouldn't look the same if it was rebuilt to withstand rising sea levels and climate change. Very true. The concrete repairs being made today are already a little out of place but if they give a few more years life to the harbour then the compromise is worth it. Great set of pictures - that cave sounds good!